There's a romantic femininity floating through fashion at the moment. At least that's what I took away from London Fashion Week, which closed yesterday. 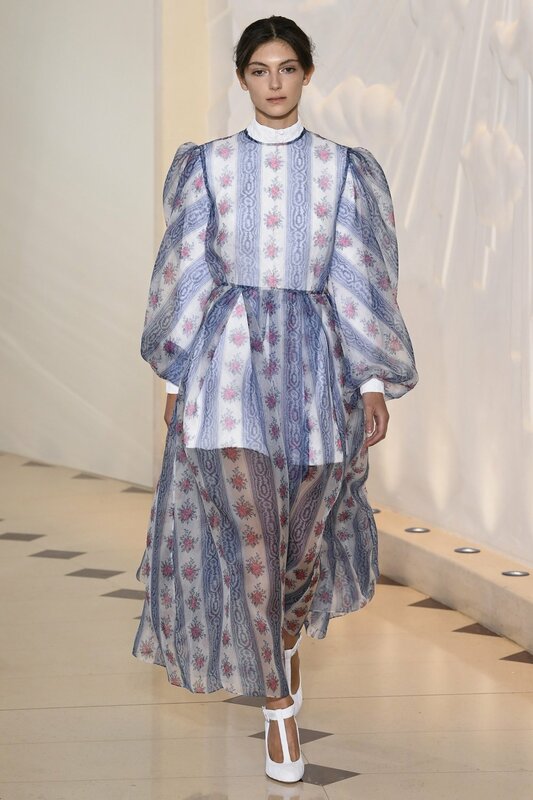 A number of designers showed collections featuring flowing silhouettes, floral prints, exaggerated sleeves, bright (and light) colors, soft ruffles, and ankle-length cuts with lots of movement. Clockwise from top left: Simone Rocha (photo Yannis Vlamos/Indigital.tv), Erdem (Luca Tombolini/Indigital.tv), Osman (photo courtesy Osman), and Emilia Wickstead (photo Yannis Vlamos/Indigital.tv) all via Vogue. Clockwise from top left: Emilia Wickstead (photo Yannis Vlamos/Indigital.tv), Roksanda (photo Yannis Vlamos/Indigital.tv), Christopher Kane (photo Kim Weston Arnold/Indigital.tv) and Rejina Pyo (photo Marcus Tondo/Indigital.tv) all via Vogue. What I found interesting is how designers were able to translate somewhat traditional notions of femininity into pieces that captured a romantic essence without feeling saccharine. It almost read to me as a statement on modern femininity which I got a hint of from New York as well: we can be soft and strong at once. Here are the collections that stood out for me from London. First, the gloves at Erdem, to which I say an unequivocal yes! Second, the voluminous sleeves and slightly nipped waist on this jacket from Christopher Kane. Followed by this trench dress from Ralph & Russo. Of course, I'm always left wondering how, beyond the act of buying these clothes, we can relate to fashion week and interpret these concepts into our closets and our lives. That question feels increasingly relevant to me as the fashion industry continues to evolve towards one of diminished barriers between us and our clothes. 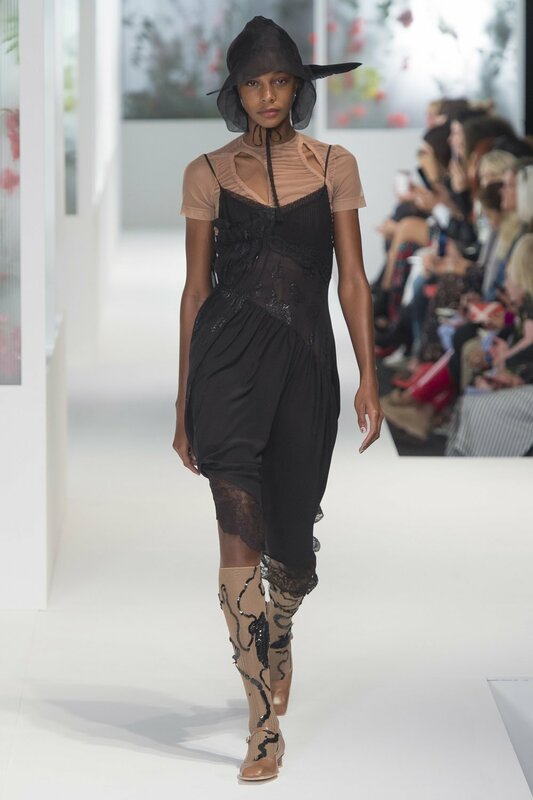 London Fashion Week, Fashion Week, Simone Rocha, Erdem, Osman, Preen, Emilia Wickstead, Christopher Kane, Rejina Pyo, A.W.A.K.E.